March 27, 2015, 9:31 a.m. March 27, 2015, 9:31 a.m. Things move quickly at Insurance Revolution, as our newest recruit Fran Holland has found to her advantage. Fran moved from Bracknell to live with her uncle in Manchester less than a month ago, hoping for a fresh start and a new job. 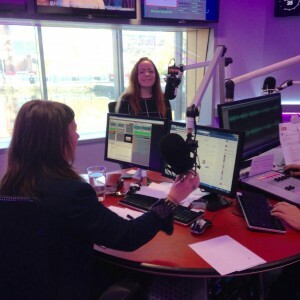 She had only lived in the city for two weeks when her uncle heard about the Key103 £1 Million of Work initiative on the radio, and suggested she take a look at the jobs on offer. On Friday, March 13, Fran applied for an administration role advertised by Well Dunn Limited – Insurance Revolution’s parent company – and within 20 minutes, we had called her for a phone interview. Friday the 13th isn’t unlucky for everyone, because Fran came in for a face-to-face interview the following Monday and was offered a job the next day. “I couldn’t be happier, I’m really enjoying the role so far,” said Fran. “My mum told me to come home if I didn’t find a job in a month – she couldn’t believe it when I told her. 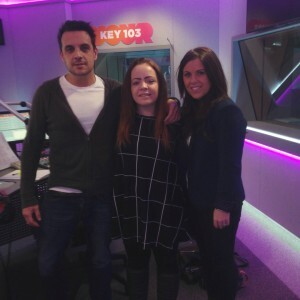 Key 103 was so impressed by Fran’s rapid success that she was asked to appear on its breakfast show on March 26. The 22-year-old was interviewed by the station’s Mike Toolan and Chelsea Norris and said she found the experience daunting but very enjoyable. “I was so nervous before I went in, but I’m really glad I did it,” said Fran. Insurance Revolution’s head operating officer, Mark Rigby, said: “We’re absolutely delighted to have been able to take Fran on, especially as the process was so quick and straight forward. “Fran is showing real promise so far and is fitting into the team really well. We couldn’t be more pleased with her. Well Dunn Limited is growing rapidly and we are always looking to take on new staff. We have a variety of roles available and are always on the lookout for talented people. Listen to Fran’s Key 103 interview here.